Vasia Hatzi, PhD Geneticist, MEDinART Creator and Founder, stands between two different worlds: Science and Art. Combining her knowledge from the field of Cytogenetics with imagination and aiming to communicate her science through a different path, she created LaB. 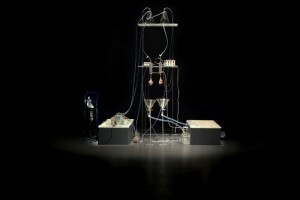 Bio-Conceptual Creations, a hybrid world that links Biology with Art. 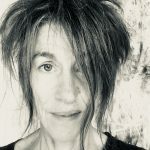 Aiming to familiarize the general public with biomedical inspired art and connect the med-inspired artists from all around the world, Vasia Hatzi created the continuously growing global art-network MEDinART. 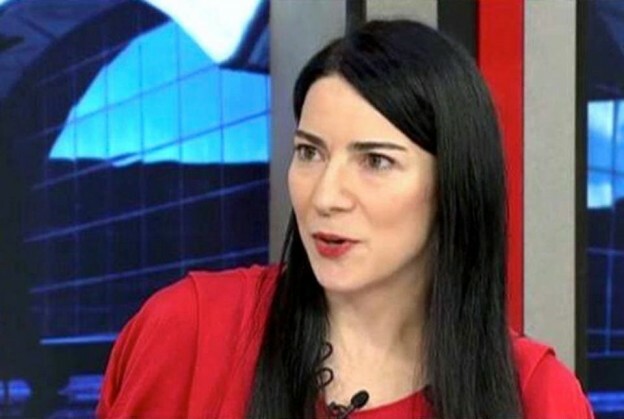 In this exclusive interview she talks about LaB, MEDinArt, hybrid thinking and the heart. Richard Bright: Can we begin with you saying something about your background? 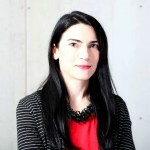 Vasia Hatzi: I have grown up in Athens-Greece in a -let’s call it- “hybrid” environment, where there were great influences by both bio-medical Sciences and Art. This multi-dimensional environment became the substrate of my growth. My academic background is in Genetics and I currently work as a scientist of cytogenetics in the National Centre of Scientific Research “Demokritos”, Athens-Greece. Inside the scientific laboratory, my interests involve –among others- the effects of ionising radiation and chemicals on the DNA and chromosomes, the investigation of new cytogenetic methods to evaluate this damage, and the cellular mechanisms of carcinogenesis. Outside the scientific laboratory, I passionately explore the intersection of biomedical sciences with arts. As an amateur artist, I find myself inspired by the biological structures as seen under the microscope. And some years ago, I have created a series of sophisticated jewellery, named “LaB. 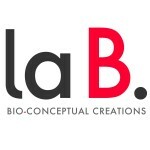 – bio-conceptual creations”. Willing to familiarize the general public with biomedical sciences inspired art and to connect the bio/med-inspired artists from all around the world, I created MEDinART: a continuously growing platform/gallery of artists inspired by all the fields of biomedical sciences. My academic path has been oriented toward biological sciences, and therefore, the major stimuli arise from science. However, art has always been my second nature. I cannot consider myself as an artist, but rather as a “hybrid scientist”. I just can’t neglect my passion in art, even in the most academic part of me. RB: Can you say a little bit more about your art-project LaB. bio-conceptual creations. What inspired you to do this and what are its aims? VH: As a cytogeneticist, I am attracted by the beauty and harmony of the biological structures. The living cell is like an extremely productive factory and even though it seems to be autonomous, it is highly connected to its surrounding environment. It’s like a micrograph of the human body. Every organelle inside the cell has a unique role and its function depends highly on the other organelles for the cell to survive. In my work as a scientist, I investigate the cellular structures as seen under the microscope and especially the structure of the DNA chromatin inside the nuclear cell and the chromosomes. And all the images of the biological microcosm have a magnificent beauty and harmony. Willing to communicate the world under microscope through a different path, I have combined my knowledge from the field of genetics with imagination, I created some years ago a hybrid world of science and art, where cellular structures of the microcosm are transformed into wearable bio-conceptual creations; And the name given to this world is: LaB. Bio-Conceptual Creations. LaB. is like a child with two equally developed hemispheres. Its aims are to bring the basic elements of life outside the strict lines of the scientific laboratory, to communicate the fascinating biological microcosm through a different path, and to give to the biological structures a conceptual symbolism arising from their true nature and role inside the cell. 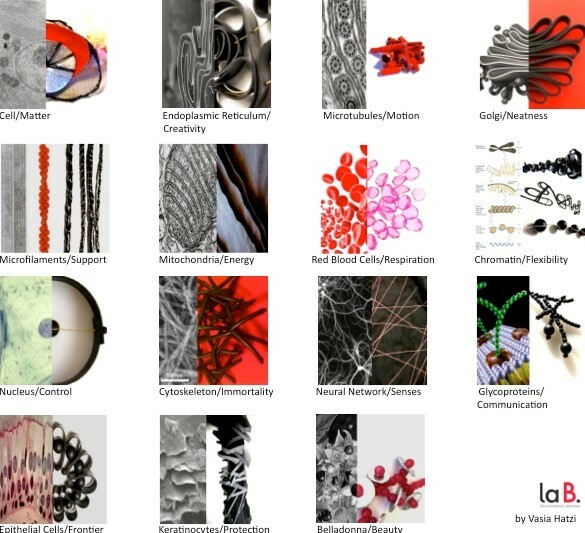 In the world of LaB., typical biological structures are transformed into unique bio-conceptual creations. Basic functions of life return to their primitive form: Matter, Genesis, Energy, Movement, Communication, Senses; all equally combined, they embody the charm of a balanced and magnificent microcosm. And the microcosm of LaB., unlike the real one, is ready and open to accept multi-dimensional and hybrid creatures with scientific structure, beauty charm and bio-conceptual symbolism. “Wearable Science” is a way to embrace our Intelligence and to evolve the meaning of beauty. And in the world of LaΒ., Intelligence is the new Beauty. RB: In 2013, you launched MEDinART. How was this idea was born and what are its aims? VH: As a “hybrid” scientist and an amateur artist, I find inspiration from the world of biology. By the time LaB. was created, I started feeling myself connected with other bio-inspired artists, a connection that was growing by time. But then I realized that all these artists were somehow isolated from their artistic communities, exactly like scientists who usually work individually or in very small groups in their laboratory. To my knowledge there was a lack of an established network of bio-inspired artists. So, I became more and more fascinated with the idea to create a unique global art-community of bio-med inspired artists, with the goal to connect these artists providing opportunities for new inspirations and collaborations, to inspire Biomedical scientists and highlight new ways to approach Science, to familiarize the general public with a -not so popular- form of art and, in general, to globalise the biomedical inspired art movement. And this is how MEDinART was born. 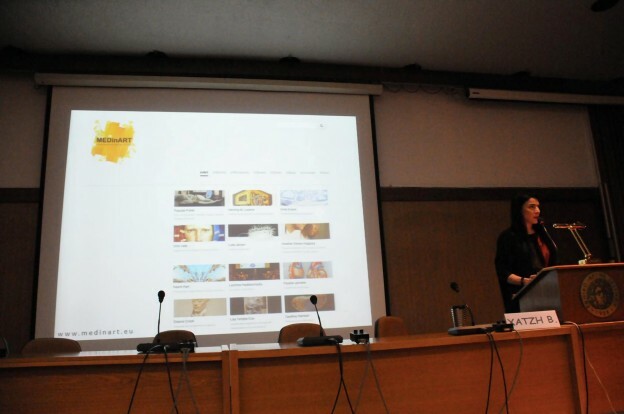 MEDinART is an independent and self-funded project, firstly launched during 2013 at the main stage of TEDMEDLive Athens, Greece. 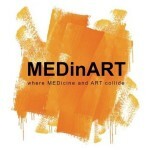 Today, MEDinART, continues to expand around the globe, and presents and promotes the work of more than 120 artists inspired by bio-medical sciences, from more than 32 countries, in numerous international events, conferences, art/science exhibitions, social media and blogs and newspapers and magazines around the globe. All these artists cover more than 30 different art forms (e.g. visual art, photography, sculpture, painting, installation, collage, illustration and drawing, fashion, street art, architecture, industrial design, textile, animation, biomusic, conceptual art and any other form of art inspired by biomedical sciences), and they are inspired from more than 25 biomedical fields (e.g. anatomy, cardiology, gynaecology, dermatology, biology, microbiology, genetics, molecular biology and others). In MEDinART one can explore the work of distinguished artists whose work has been awarded or included in national galleries and museums around the world. Some of them teach in universities, while others are both artists and scientists. In the MEDinART webpage [www.medinart.eu], one can explore every artist’s art-world and find more details about their work and inspirations. And I find it highly essential to follow with great care the rules of intellectual property. Based on this, all the uploaded artwork of the permanent MEDinART gallery has been chosen in collaboration with the artists, like it would happen in a fine art exhibition …in vivo! RB: How does your practice as a scientist correspond to your practice of making art? VH: The biomedical laboratory (the actual space of scientific practice) is an excellent playground of inspiration. Imagine that a scientific experiment can last from some hours to days, months or even years, like a kind of performance art without the presence of the audience during the act. In parallel, the novel microscopy methods in light/ scanning electron/fluorescence microscopy as well as the imaging techniques in molecular biology, apart from their significance in diagnosis and research, have opened up a new era in the visual world and familiarised us with the unseen. Through the experimental procedures, the scientists become more and more familiar with images that either directly or indirectly reveal parts of the living world that outside laboratory cannot be seen with the naked eye. The changes in shape of the living cells, the 46 human chromosomes and chromatin during the different phases of the cell cycle are universal phenomena that take place continuously but remain unseen. And forced by an admiration for the biological world as seen under the microscope, I detached the biological structures from the scientific laboratory and gave them a new meaning and structure in extracellular space. Apart from the simple investigation, sometimes the images we gain under light or fluorescent microscope, or on an agarose gel or autoradiography, represent indirectly a rare phenomenon like for example the identification of a new polymorphism or an unknown cellular response to a new drug. In this case, the images we gain could be something like a bright red spot inside the nucleus of the cell, or another band on the agarose gel, or an inhibition in cellular growth. These images even though they seem like nonsense to anyone unrelated to the field they often hide a strong meaning underneath, of significant value. And based on this, I tend to see the scientific images as a form of conceptual art. So, the scientific practice in the biomedical laboratory resembles all the forms of art, from visual art to performance and from conceptual art to bio-music. And it is a great luck to work in such an inspiring environment, like it is the scientific laboratory. RB: Can you say something about the creative and material processes that lead to the images that we see in your LaB gallery? VH: In the LaB. world one can see the hybrid images and that is an image that the left half side shows is the biological structure as seen under the microscope and the right half side shows a detail of the bio-conceptual creation. Those two halves –the one from the scientific world and the other from the art world-, compose a single image. And this image, encapsulates a harmonic duality of science/art, realism/imagination, complexity/simplicity. In each LaB. creation the complexity of the real biological organelle is simplified and only the representative lines are kept. This simplification detaches the subject from its image and gives precedence to the power of its identity and its function. For example, inside the nucleus the DNA molecule exists. DNA molecule is probably the best-known macromolecule with its characteristic double helix. What it is less known about this molecule, is that its length is approximately 2.5 meters long. And in order to fit inside the tiny nucleus of approx. 5μm in diameter undergoes several levels of packaging with special proteins. From the several levels of DNA packaging, numerous interesting structures arise: the nucleosomes, the extended and condensed DNA scaffold, that reflect in their unity the highly dynamic structure of the molecule and in the LaB. world are used as a metaphor for Flexibility. Another example arise from the glycoproteins, a type integral cell membrane proteins, where they play a role in cell–cell interactions. In the laB. world, the glycoprotein is used as a metaphor of Communication. In the LaB. gallery (www.La-B.gr), one can explore numerous other structures with a hidden symbolism. And more other bio-inspired creations are currently under construction! RB: Do you have any specific examples where your artistic explorations have helped to guide your scientific thinking? VH: I realise that the process of creation is the same both in the scientific processes and the artistic processes. I would say that my scientific thinking has helped my artistic explorations because science has taught me to be less self-referential. And by the time I have started to become less self-referential in my artistic explorations, I felt the need to share it with others and be exposed. Science also guides one to be universal and to exclude the unit from the whole. On the other hand, I have to admit that by the time I started to expose my art creations, I started to become even more creative in my scientific thinking. Maybe it is the combination of art and science that made me more complete, full and solid. By combining the knowledge of cytogenetics with self-imagination, the goal both in my practice as a scientist and in my practice in making art, is to create something novel. And this could be either knowledge that is new and takes the science and humanity a tiny step forward or a unique art-object that hides a bio-conceptual symbolism. RB: What has been the reaction from the scientific community to your artwork and your art/science project MEDinART? VH: The response of the scientific community to LaB. and MEDinART was in general very warm. From the feedback I got, the scientific community seems to find very inspiring this blend of biomedical sciences with art. To my pleasure, both projects have been presented in numerous scientific/art events in universities, research centres and medical museums around the world. Some of the bio-conceptual jewels of LaB. 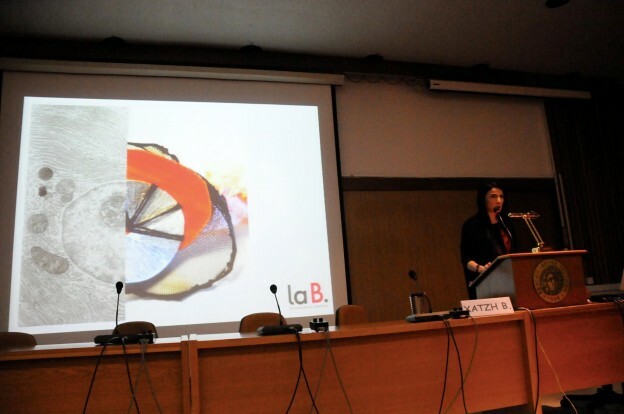 have been presented in collaborative international science/art exhibitions in Greece as well as in the touring international medical art exhibition Fabrica Vitae (curated by Pascale Pollier, Chantal Pollier, Eleanor Crook and Athar Jaber), that took place, among other cities, in Athens and Zakynthos, Greece as well as in Atlanta and Saint Louis, USA. It has been also a great excitement to co-organise and co-present with Theo Dirix, Consul at the Belgian Embassy of Athens (since 2015 in the Embassy of Copenhagen, Denmark), a multi-dimensional event that took place in Andreas Syggros Museum of Athens, to celebrate the 500th Birthday of Andreas Vesalius, the great Flemish anatomist and artist that died on Zakynthos. At this event, MEDinART gained a lot of publicity in the medical community in Greece and the response from the society of anatomists and dermatologists was very warm. Recently, I had the great pleasure to be invited by the European Society of Cardiology, for a talk at the special session of CardioMED2016, to present the global MEDinART and the artwork of artists that are inspired by the cardiovascular system. And more exciting collaborations are yet to come! RB: Collaboration between the arts and sciences has the potential to create new knowledge, ideas and processes beneficial to both fields. Do you agree with this statement? VH: Absolutely. When the differentials collide, the most interesting outcomes arise. And the novel hybrid nourishes the individual parts with new stimuli for evolution. It is like a beneficial symbiosis; not a vampiric one. Art and science are two worlds usually perceived as opposite and distant – but the result of their collision can be unusually balanced, beautiful and unexpected. They are like two brothers, quite different one from the other but both need imagination, passion, visionary thinking and the strength to overcome the limits, in order to evolve. And since the limits of science and art are infinite, can both continue to evolve together with humanity. The combination of science and art enhances the process of evolution and explores the boundaries and strength of our existence. When art and science are merged they create a balanced and solid unity. RB: This issue explores ‘The Heart in Art’ and you recently gave a talk on this subject entitled “MEDinART: where medicine and art collide: heart as a universal symbol in art”. What does the Human Heart symbolise for you? 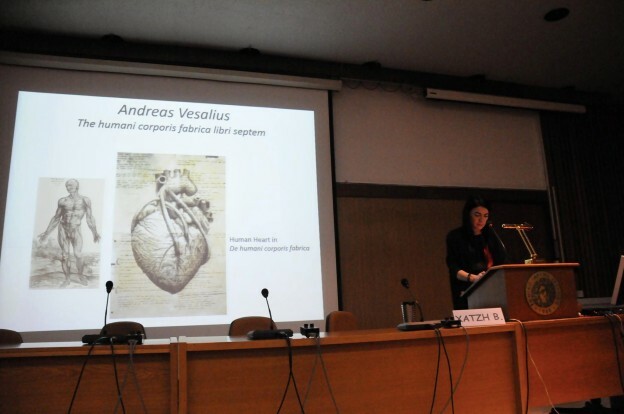 VH: Indeed, it was a very warm invitation from Dr. Julia Grapsa, Chair of the European Society of Young Cardiologists, to give a talk at the special session of CardioMED2016, and present MEDinART and also the work of selected artists that are inspired by the cardiovascular system and human heart. Human heart is one of the most vital organs but also one of the strongest and timeless intercultural symbols of the history of mankind. During human development, it is the first organ that functions in the formation of the embryo, and the one that stops last. Heart symbolises all emotions –beneficial or destructive according to their strength- that evolve human being: passion, love, fear, anger, brave, courage, and strength. Heart is identical to life, and all the contradictions that control our existence. “In my heart there was a kind of fighting that would not let me sleep” says Hamlet. 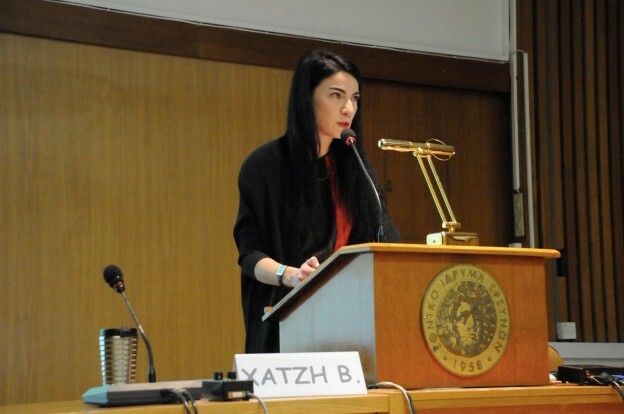 Dr. Vasia Hatzi, Geneticist, MEDinART creator, at the special session of CardioMED2016 (05/03/16, National Hellenic Research Foundation, Greece). RB: Which is more important, the heart or the brain? VH: Despite the dominant opinion that heart is the centre of “emotions”, Aristotle believed that the heart controlled the Reason, and higher mental functions, a role later Hippocrates attributed to the brain. For me the Truth is somewhere in the middle. It is the Brain that makes Heart beat faster. I tend to consider that Heart feeds the body with a kind of internal Heat but also it works like a filter of the Brain. Even if topologically inside human body are quite distant organs, Heart and Brain could not be considered as separate and autonomous. It is like the relationship of the nucleus of the cell with the endoplasmic reticulum and the other cellular organelles: the nucleus holds the central information of the cell, the DNA, but the synthesis of proteins (a process known as translation) could not proceed efficiently without the ribosomes of endoplasmic reticulum, the energy produced from mitochondria and the enzymes of the membranous system of the cytoplasm; a collaboration is essential. The relationship between Heart and Brain could somehow resemble the relationship between Art and Science. Heart and Brain, like Art and Science are considered as distant and opposite. But it is in their collaboration that the most successful, intriguing and inspiring outcomes arise. And these outcomes are powerful enough to induce a heartbeat! RB: Can you please give some examples of artworks from artists that are included in the MEDinART gallery that are inspired by cardiology and the human heart? VH: In MEDinART, one can find numerous artists whose work has been inspired by human heart and the cardiovascular system. It is an honour to include the work of the famous French-Canadian artist Pauline Lariviere (1906-1988), whose works has been included –among others- in editions of the Grays Anatomy. Heart appears in the medical illustrations of the contemporary artists Alexandra Baker from North Carolina and Joanna Culley from UK. Apart from the artwork that are used mainly for educational purposes, many artists present in their work a more esoteric/symbolic meaning of human heart. 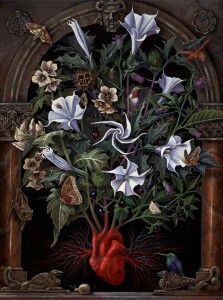 Benjamin Vierling from Nevada City, willing to express the delicate limits between evil and good, presents the «Sacred Heart» that features the emergence of Belladonna, Henbane and Datura (three plants allied to the Devil and comprising a part of the so-called ‘Witches’ Garden’) from a human heart. 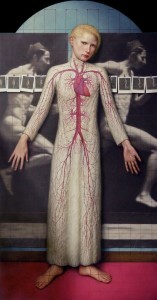 The Spanish painter Dino Valls, in his artwork “Exsanguis” is inspired by the cardiovascular system and by using classical archetypes of aesthetics and universal symbols, stimulates the subconscious. 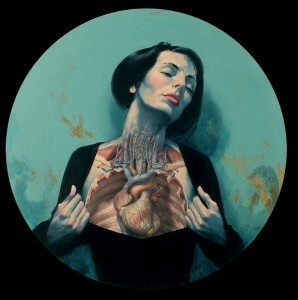 The “Vanitas” of the Madrid based artist Fernando Vicente, reflect the sensuousness of the human heart. In the works of the Greek artist Konstantinos Patsios entitled “Mare Mostrum”, “The Fire in the Borgo” and the “Good Son”, human heart is presented through the lens of conceptualism, expressionism and pop-art. Human heart is also present in the cyber creatures of the illustrator Alexander Coroll from Sweden (in his work entitled “Just a Human”) and also in the symbolic works of Diego Max from Sao Paulo of Brazil and Giselle Vitali from Venezuela. Rachel Ignotofsky from Kansas City has made a series from medical illustrations, including the cardiovascular system, suitable for the education of children. In MEDinART, one can also explore “The Heart of the Matter” from marble of the Belgian sculptor Chantal Pollier. The “Stone Heart” of the UK based artist Emily Evans, the porcelain “Venus Top” sculpture of Kate MacDowell from Portland-Oregon, the heart made of glass entitled “Pulse” of Jessica Lloyd Jones from Wales-UK, and the fabric sculpture “Heart Arborescence” of Karine Jollet from Paris-France. 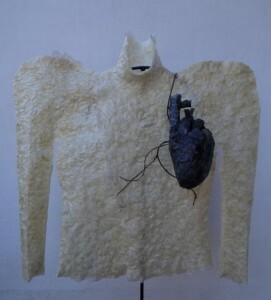 The Romanian artist Valentina Ștefănescu in her artworks entitled “Passing”, “Bio Minds”, “Black Anatomy Heart”, “Think With Your Heart”, “On the Map” recounts human body stories using fabric and textiles. 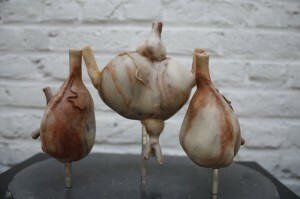 Among the artworks, it is included the installation of the London-based artists Peta Clancy and Helen Pynor “The Body is a Big Place” where two real hearts from pigs were used. 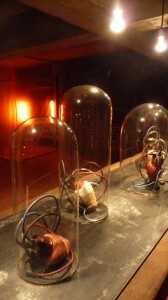 This installation explores the issue of human transplantation. 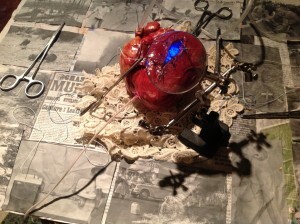 MEDinART, hosts the “Heart” made from maps of Shannon Rankin and the quilled paper hearts of Sarah Yakawonis from Portland-USA, the wire-constructed “Anatomical No-Body Heart” of Federico Carbajal from Mexico, the copper-made heart entitled “CA. DE. VER.” by Valentina Formisano, the thread and nail heart “Cuore” of Alan Dindo from Italy and also a flower-made “Heart” from the Bristol-based artist Camila Sita Carlow. The heart made by knitted human hair heart of the London-based artist Helen Pynor, the “Art of the Matter” installation of the Aarschot –based artist Eline ‘t Sant and the “History of Hurt II” of the Belgian medical artist Pascale Pollier, are among the numerous artworks that are inspired variously by the human heart. And you are all welcome to explore them! RB: Could you describe a hypothetical situation that makes your heart beat faster? VH: Five elements make my heart beat fast -and in this precise order: creativity, passion, anger, fear and coffee. In the hypothetical situation where all these five elements exist at the same time, my heart would burst from heartbeat. And I would become an asteroid.